Nothing about the physical design of Google's new Pixel 2 phones will wow you. Inside, the specifications are pretty standard fare. But the devices are running a lovely, uncluttered version of Android that weaves in the very latest Googley innovations and a handful of inspired tricks. The Pixel is Google's answer to the iPhone. When the first Pixel-branded phone came out last year, its closest competition (Samsung's Note 7) was yanked off the market for bursting into flames. The Pixel launch should have been an easy opening, but getting one proved problematic due to limited supplies. Now, the device only makes up less than 1% of the global smartphone market, according to Comscore. After years of Google's somewhat erratic approach to phone hardware, is the company finally ready to commit? 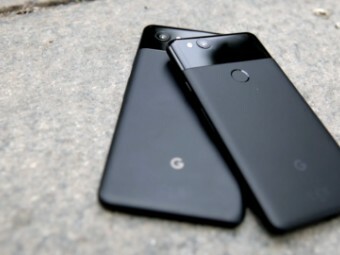 The new Pixel 2 and Pixel 2 XL are Google's flagship smartphones. The smaller Pixel 2 has a 5-inch screen and starts at $649, while the Pixel 2 XL features a 6-inch screen and starts at $849. Both devices are available with 64 GB or 128 GB of storage. Unlike iPhones, the two Pixels have almost identical features, including the cameras and processors, but the XL does pack a bigger battery. Both phones are waterproof and dust-proof. Last year, the company rebranded its hardware line as "Made By Google." 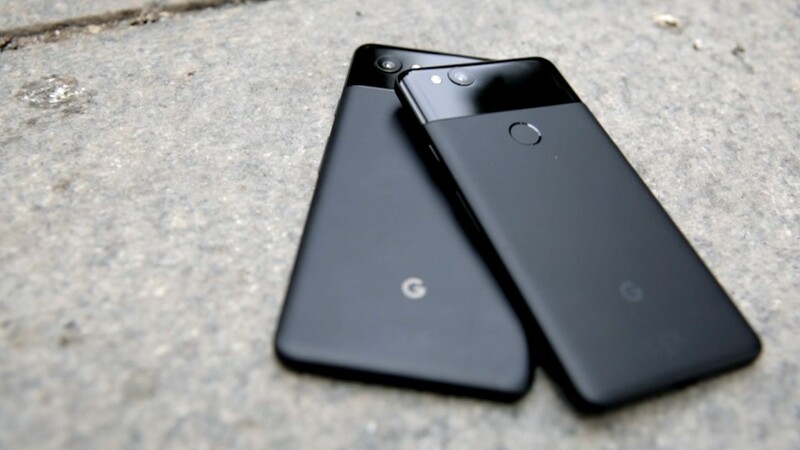 The Pixel 2 and Pixel XL are technically manufactured by HTC and LG, respectively, but Google says it is completely in charge of the design for the line. The previous flagship Google phone was the Nexus, which it made in partnership with major manufacturers from 2010 to 2015. The company's other adventures in phone hardware include buying and then selling Motorola, and its modular Project Ara phone, which never made it to market. Smartphones live or die by their cameras, and the Pixel has added a handful of new features to stay competitive. Overall, the Pixel's camera takes excellent photos with good dynamic range and warm colors. In low light, the Pixel's images have a bit more noise than iPhone 8 shots. It mimics the iPhone's "Live Photos" feature, making mini 3-second motion clips for each still photo. It doesn't have dual lens cameras like the higher-end iPhones, but the Pixel is still imitating one of those devices' most popular features. The new Portrait mode fakes a shallow depth-of-field effect, throwing the background out of focus to draw attention to the subject. In our tests, the Pixel wasn't always as effective as an iPhone at separating the subject from the background. The front camera has a new retouching option that intends to smooth out flaws like wrinkles and acne. In a test, we tried the feature and the results were surprisingly subtle. At its event announcing the new Pixel phones earlier this month, Google acknowledged that the next big smartphone advancements won't be about the hardware. They're about software and smarts. It may be doomed to wander this earth without a relatable human name like Alexa or Siri, but Google Assistant is constantly improving. That, and the company's willingness work with developers, gives it an advantage over aging Siri. One advantage of the Pixel is being the first to test out the latest Google inventions, like Google Lens, the company's image recognition tool. Available only in Google Photos to start, Lens can identify text and objects, like a reverse image search. And you can't have a phone without a silly emoji update, so the Pixel is adding AR stickers like veggies with eyeballs that dance their way onto your videos. The feature actually won't be available for a few months. The Pixel is busy, even when it's asleep. It has an always-on screen that shows the time, and its microphones are constantly listening. If you say "OK Google" the phone will spring to life. It will also hear any song playing nearby and name that tune in about 15 seconds. Perhaps Google is betting that the popularity of smart speakers has made the public less uneasy about a device that constantly listens to them. And Google says the phone isn't recording anything and all the listening and processing is done on the device, using a downloaded music catalog. But some people will, rightly, still have privacy concerns. They can turn it off in Settings. The physical design of smartphones is almost irrelevant at this point. The biggest differentiators are the location of buttons and sensors, and what color body you'll obscure with a case (the Pixel comes in black, white or blue). The Pixel design is inoffensive. The back is a nice matte aluminum with a glass panel over the sensors — an advantage over the latest all-glass iPhones. The fingerprint sensor is in the same awkward spot on the back. After days of frustrated missed attempts to unlock my phone, I started thinking face detection was a good idea for the very first time. Phone manufacturers are fighting over who has the thinnest bezel (the frame around the smartphone screen), but they're overestimating how much casual customers will care about a few millimeters of black space. That said, Google has left quite a bit of bezel on the top and bottom of the screen for its (clear and loud) speakers. The Pixel 2s are higher-end devices, but don't have any specs that will blow other Android phones away. From the Qualcomm Snapdragon 835 processor to the 12.2 megapixel camera, these are all pretty standard. Unfortunately, one of the newest ideas Google borrowed from Apple is that headphone jacks are passé. Like the recent iPhones, the Pixels include an adapter in case you want to use your old headphones. The single USB Type-C port recreates the same frustrating problems, such as not being able to listen to headphones and charge at the same time. If you're searching for the best Android smartphone, the Pixel 2 is a solid choice that packs in the best of Google's apps and AI smarts. This year's Galaxy S8 does not catch fire, so there are more options at this level. The Pixel is fun, the best way to use Google software and test early Google experiments, and freed from the annoying junky apps third-party manufacturers or carriers like to pile on. If you're an iPhone user considering a switch, there's enough to recommend the Pixel 2. But with the iPhone X's release just weeks away, it's worth waiting to see how the devices stack up, especially the cameras.